At Alexandria Volkswagen, we offer competitive financing rates and lease terms on our great selection of new and used trucks, cars, and SUVs. Use our VW car payment calculator to find out how much you can save. Our finance experts are here to guide you through the financing process and help you get into your new vehicle. Contact the Alexandria Volkswagen finance team today or if you’re ready to start the financing process, you can fill out our secure finance application online. 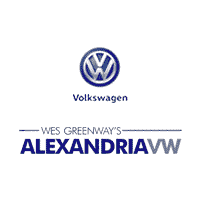 Why Finance at Alexandria Volkswagen? To start, our VW finance offers help drivers from Arlington and beyond afford a new Volkswagen vehicle, and our VW lease deals are a smart choice for drivers on a budget. We can help you decide between financing vs. leasing your next vehicle, and our team will work hard to get you the low monthly payment you deserve. Looking for a Volkswagen Atlas lease deal? Contact us for the latest offers!